Fetty Wap at Big Night Entertainment Group’s anniversary party. 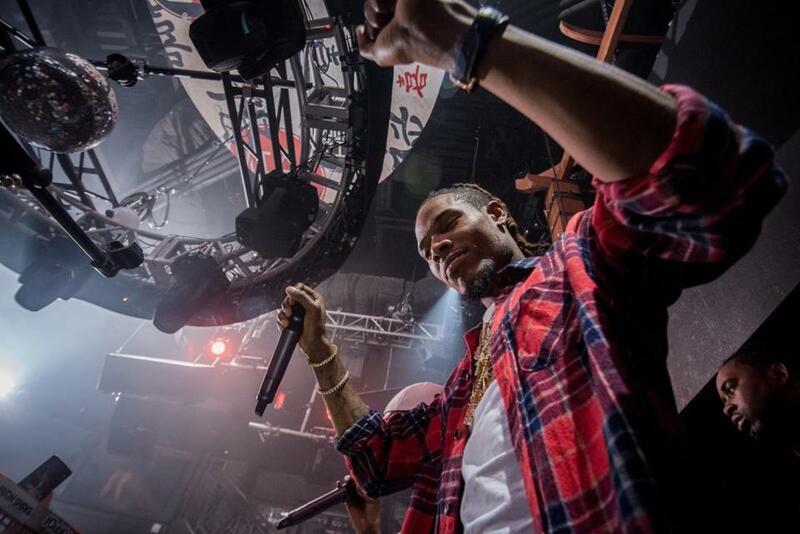 Big Night Entertainment Group hosted a 10-year anniversary party for its employees at Shrine Foxwoods on Monday evening, and surprised attendees with a very special guest: Fetty Wap. We’re told BNEG principals Ed Kane, Joe Kane, Randy Greenstein, and Kevin Long treated the crowd to a special private concert by the rapper, who performed his hits including “Trap Queen,” “679,” and “My Way” as confetti fell. . . . Boston Bruins legend Willie O’Ree dropped the puck before the Kings and Lightning hockey game in Los Angeles on Monday. O’Ree broke the NHL’s color barrier when he made his debut with the Bruins in January 1958. . . . Speaking of the Bruins, we hear that B’s defenseman Torey Krug will be at Sullivan Tire & Auto Service in Weymouth on Feb. 2, signing autographs and taking photos from 5:30 to 6:30 p.m. . . . Former Patriots player Willie McGinest was seen dining out at STRIP by Strega with friends after the Patriots’ playoff win over the Houston Texans.